Click a comb to spin it. 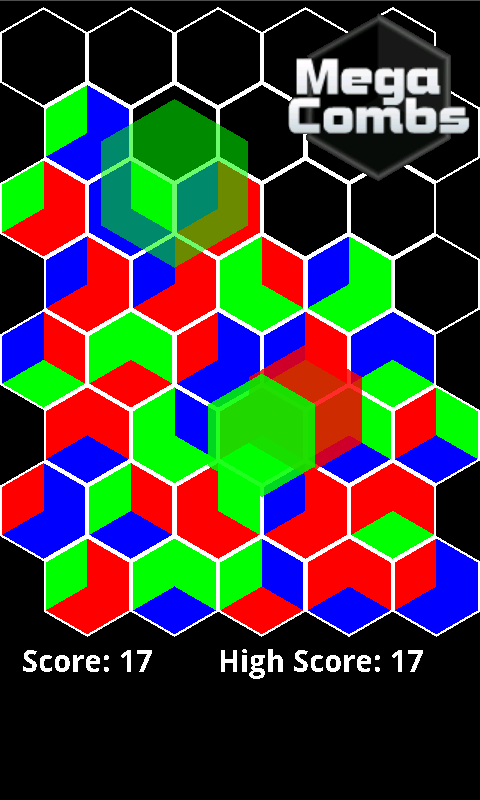 Match the colors of three adjacent combs to create a TriComb. When a TriComb is formed, the top two pieces of the upper comb fall into the bottom two combs. 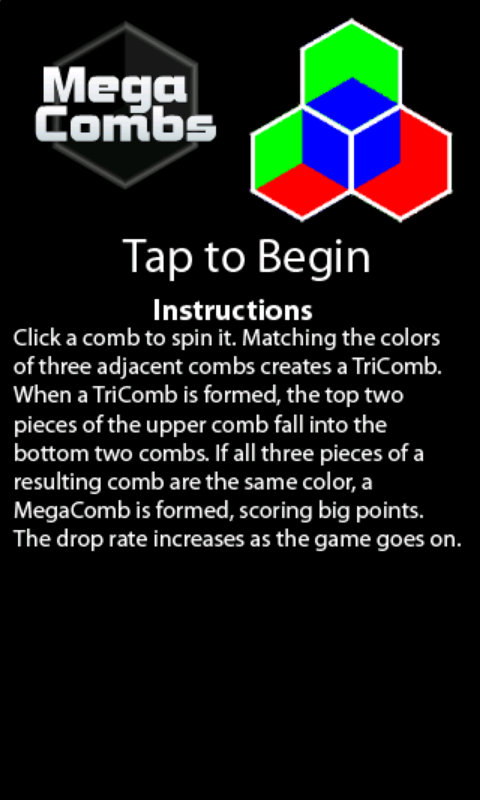 If all three pieces of a resulting comb are the same color, a MegaComb is formed, scoring big points. The drop rate increases as the game goes on. Fans of Tetris and spatial puzzles will enjoy this game.